You are here: Home / Recipes / 29 Chocolate Lovers Brownies Recipes you will love! 29 Chocolate Lover Brownies Recipes you will love! Easy homemade from scratch recipes and boxed recipes! I have to confess to loving chocolate! We don’t keep many brownie ingredients in the house at a given time because we know that we could easily make them and enjoy the entire platter of them in a day or so. We try and save brownies for those days you just have to have chocolate. I mean honestly, that may mean that it is a Wednesday and the sun came out so that is a reason to celebrate with brownies. Or maybe we booked a flight to a new national park = celebrate with chocolate brownies. LOL! Do you have a dessert or chocolate that you love? Don’t get me started on ice cream..hello yum! I will fully admit to having a giant sweet tooth! 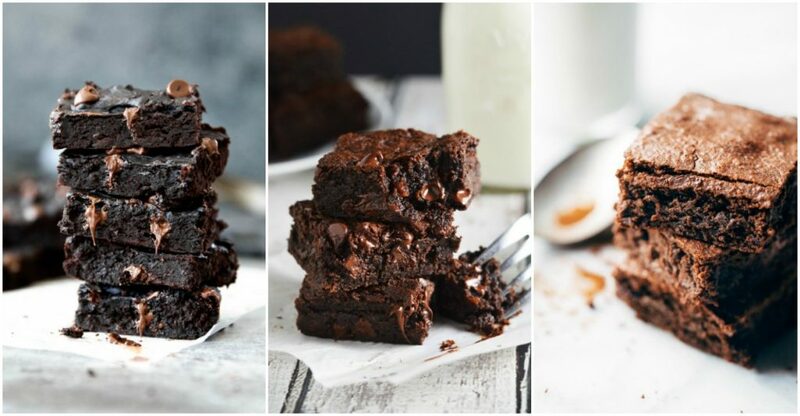 29 Delicious Brownies Recipes you need to try! Your welcome! The recipe looks sooo good! These recipes sound delicious. I love brownies so I will definitely be trying these. 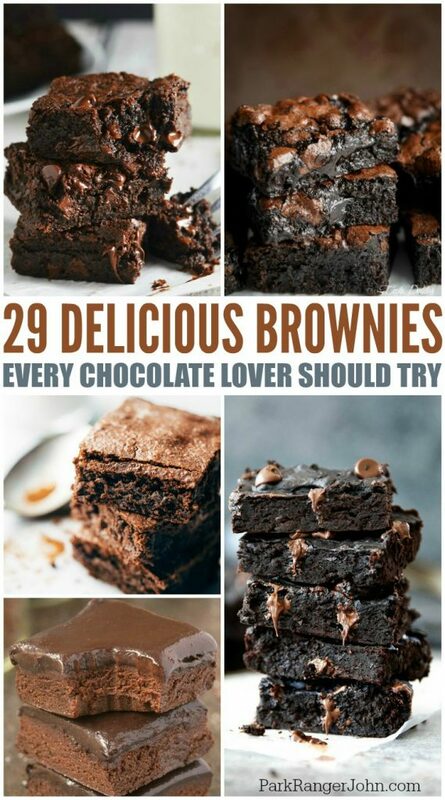 I will definitely be trying these brownie recipes, they all sound delicious.